Feast. your eyes on this totally cool slip stitch pattern! 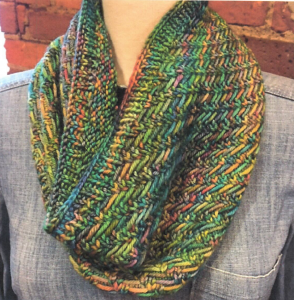 This is a fun, fast, and easy knit using any worsted weight yarn – preferably of the variegated kind. Depending on the fiber, you can make it for warm or cool weather.